TeamSpeak communication system previously offered in TeamSpeak Classic (1.5) and TeamSpeak 2. TeamSpeak 3 is not merely an extension of its predecessors but rather a complete rewrite in C++ of its proprietary protocol and core technology.  With over nine years of experience and leadership in the VoIP sector, our engineers have created a flexible, powerful, and scalable solution granting you the ability to customize and tailor your voice communication needs any way you desire. New users and TeamSpeak veterans alike will now enjoy a completely new experience in voice communication using TeamSpeak 3's unmatched functionality and powerful new features.